MUSKETEER'S MARCH BY JOE MORLEY. 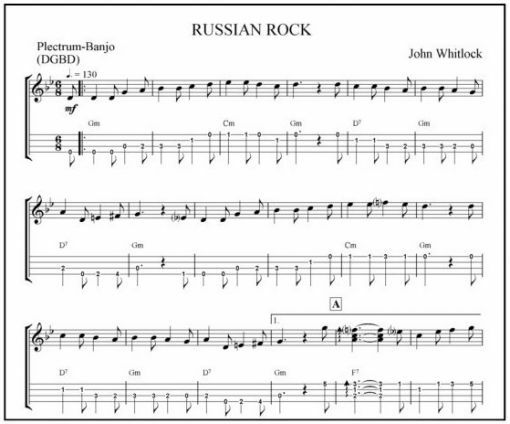 RUSSIAN ROCK BY JOHN WHITLOCK. 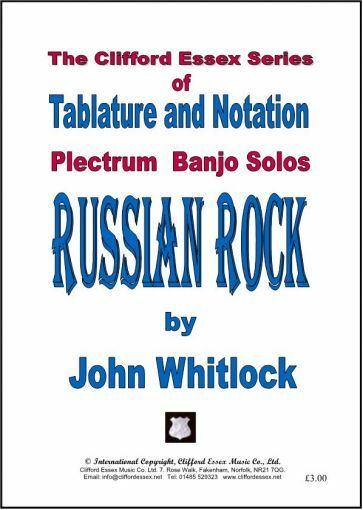 Location: /Sheet music/Plectrum Banjo/RUSSIAN ROCK BY JOHN WHITLOCK. Compositions composed and arranged by masters of the instrument. Written in musical notation and tablature for easy reading. We can either send you a hard copy of this music, printed on high quality 120 gsm paper, price £3.00 post free. Or we can email you a downloadable file, price £1.30, and you can print the music yourself. Please choose in the options box below. OFF TO SCHOOL BY JOHN WHITLOCK.